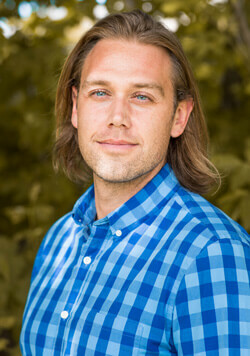 Ryan joined the team as the Director of Marketing and Admissions for RedCliff Ascent. His career has spanned across a range of medical services, from acute care adolescent psych to most recently at a therapeutic boarding school. His true passion is working with teens as they navigate a challenging time in their life, ultimately helping to heal future generations. A transplant from Maryland, Ryan’s calling to the wilderness has landed him in Utah and ultimately with RedCliff Ascent. When not in the office, Ryan is mountain biking, skiing, or coaching lacrosse. Ryan is perfectly prepared for assisting the students and families as they navigate the processes associated with Outdoor Behavioral Healthcare. Ryan has worked in various administrative and therapeutic environments over the last ten years. He also is excited about the opportunity to join the RedCliff Administration team. “We are excited to have Ryan join our team. He brings a unique blend of administrative and therapeutic experience. We look forward to Ryan continuing our commitment to healing families through the process of outdoor experiential therapy that works so well in the teen treatment environment.” said Scott Schill the Executive Director.